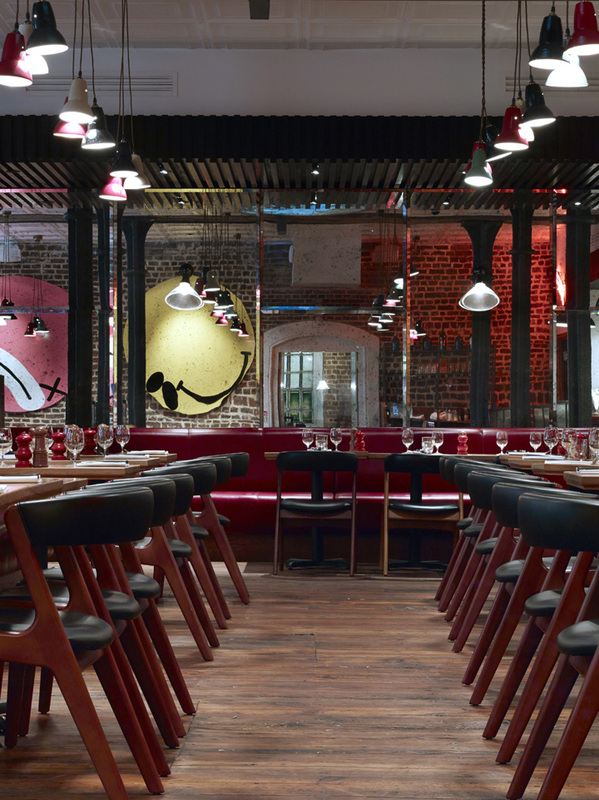 This is the first restaurant Stiff + Trevillion have done with Mark Hix. The site, originally a warehouse for the East India company, retains many of the original features. The restaurant is at ground floor and Marks bar in the basement. 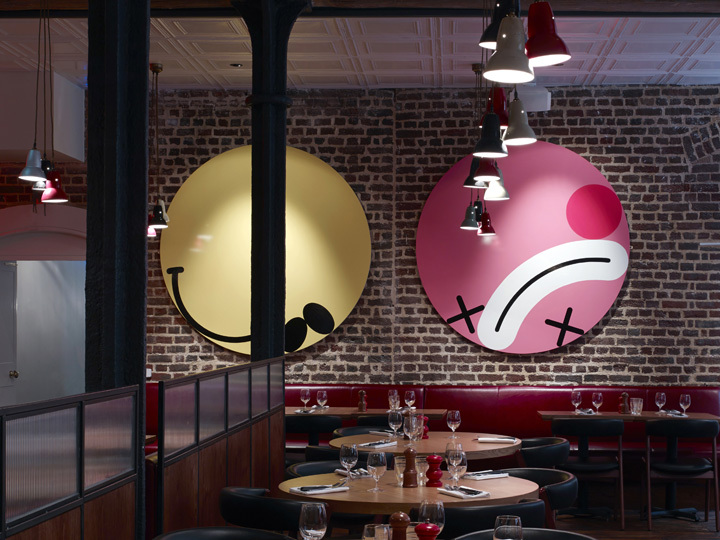 A relaxed chicken and steak menu is complimented by contemporary art installations including signage by Tracy Emin. 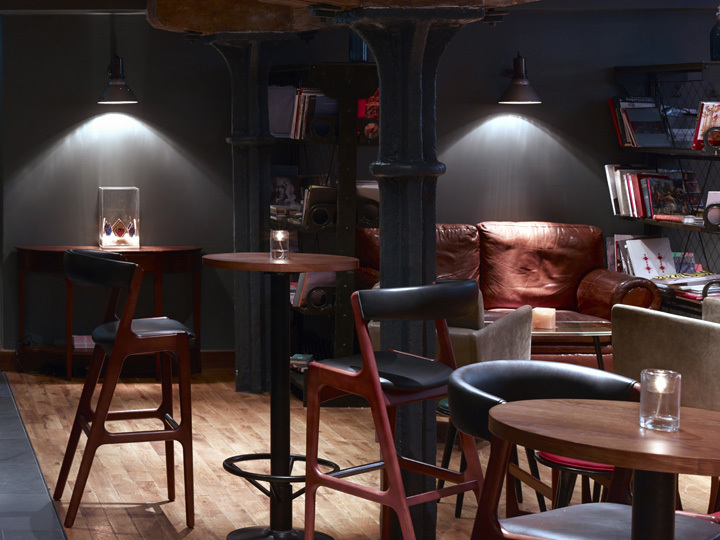 The basement design was influenced by New York basement bars with exposed brickwork, tin ceilings, wood and leather. Rustic restaurant interior. Hixter City, London, United Kingdom. Architect: Stiff + Trevillion Architects, 2014. 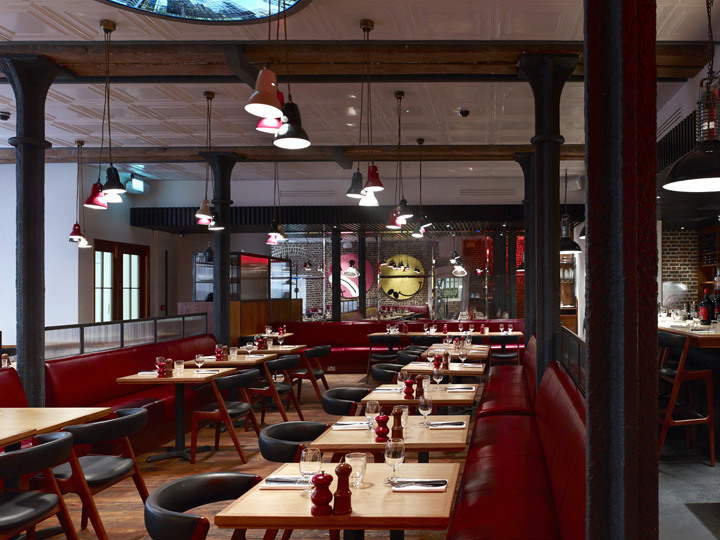 Use of original features in restaurant interior. Hixter City, London, United Kingdom. Architect: Stiff + Trevillion Architects, 2014. Snug corners in basement bar. Hixter City, London, United Kingdom. Architect: Stiff + Trevillion Architects, 2014. Artwork, exposed brick and laid table. Hixter City, London, United Kingdom. Architect: Stiff + Trevillion Architects, 2014.